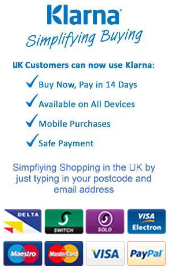 We accept payments via Paypal so you can pay with money held in your PayPal account balance or use another payment method such as a credit card, debit card , UK Bank Transfers (BACS) . If paying by bank transfer: If payment is not made within 24h from the date of the order being placed, the order will be cancelled to enable us to put the goods back into stock. All goods remain the property of Beautiful Nails until full payment has been received for the goods ordered. All orders made by you through the website are subject to acceptance by us. We may choose not to accept your order for any reason and will not be liable to you or to anyone else in those circumstances. Crystal Nails products cannot be send outside UK. Please contact us before placing an order outside UK or altrnatively contact your local CN distributor. After submitting an order to us you will be sent an order acknowledgement email with your order number and details of the goods that you have ordered. Most orders are processed and shipped within 24 hours of payment clearing (Subject to stock availability at the time your order is processed). The vast majority of orders are despatched either on the same working day or the following working day. Please note that we cannot dispatch goods until payment has been received, this will need to be taken into consideration when choosing your payment option. You undertake that all details you provide to ’Beautiful Nails Shop’ for the purpose of ordering or purchasing goods or services are correct, that the credit or debit card you are using is your own and that there are sufficient funds to cover the cost of the goods or services ordered. If you supply incorrect or inaccurate address details and your order is returned to us as a result of this, a charge will be made for re-delivery. If we have attempted to deliver your goods via Royal Mail Recorded or Special delivery and the goods are returned to us as you failed to pick up the goods within the time limits imposed by the post office, we will treat this as a cancelled order and we will make a charge to cover our costs in sending these goods out to you. You will also be charged postage at our current tariff if you require the goods to be redelivered. In the unlikely event that your goods have been lost in transit, we are unable to refund or resend goods until our enquires have been completed. This can take up to 7 working days as a trace will need to be issued to track your goods. In most circumstances this will be resolved sooner. If there are any changes to the details supplied by you it is your responsibility to inform ‘Beautiful Nails Shop’ as soon as possible. There is option to collect your order in person from ‘Beautiful Nails Shop’. In that case you can avoid delivery cost. If you wish to collect your order please contact ‘Beautiful Nails Shop’ to arrange date and time. CLAIMS and MISSING ITEMS: all claims must be made within 14 days from invoice date. Please note that, once opened and/or used products cannot be return to us unless the product is faulty or broken. Exchanges and refunds must be made within 14 days of receipt. Goods must be returned unused and in the original packaging. Customer is responsible for shipping charges plus insurance (if applicable) .When returning goods to us. Please contact us via email or phone to arrange for the return of merchandise. Confirmation must be made before returned items are sent or the transaction will be void.